Featured Vehicles at Great Savings! 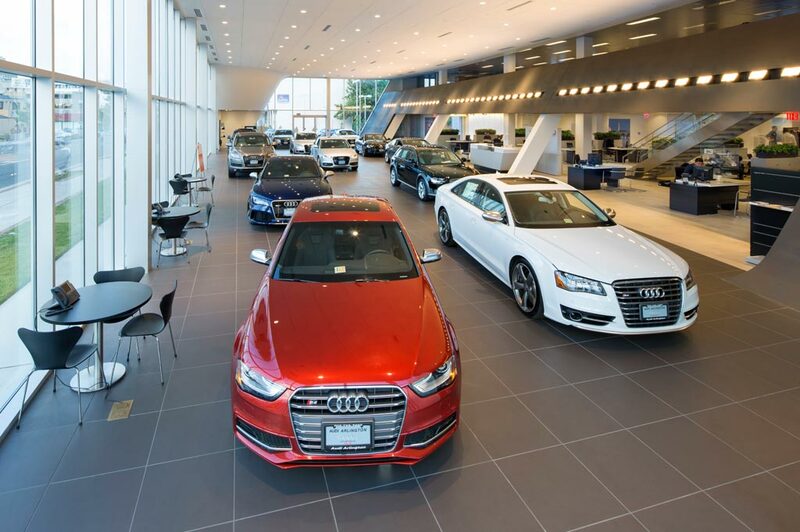 Audi Birmingham Michigan is for drivers near Detroit who are looking for a step up in customer care, premium vehicle selection, and overall automotive services. We're more than just a dealership -- we're premium automotive support for drivers around Smithfield and Troy, MI. We have many new Audi cars to choose from here at Audi Birmingham Michigan. Here are a few of our most popular. Audi A4: Audi's midsize luxury sport sedan performs where it counts most. Its interior demonstrates Audi's famously tasteful cabin design with an ergonomic layout and high-quality materials. Under the hood, you can get up to 252 horsepower. Standard quattro all-wheel drive delivers planted handling while a manual transmission is available for enthusiasts. Audi S5: Available in either Sportback or Coupe form, the Audi A5 is a sleek alternative. Its low-slung profile gives off a presence of athleticism, and its standard 354-horsepower V6 engine backs it up. Additionally, the Sportback model offers up to 35 cubic feet of cargo capacity. Audi A7: The A7 is for drivers who want a full-size, zero-compromise luxury sedan. Its spacious cabin means you'll be comfortable whether you're driving in the front or riding in the back. Each new A7 comes with a powerful 3.0-liter V6 engine and dynamic all-wheel steering. Audi Q5: Audi refinement and performance, plus SUV convenience: that's what you get in the new Q5. With 60.4 cubic feet of cargo space and standard turbocharged engine, it's no wonder drivers near Birmingham often choose it as their preferred luxury SUV. Audi Q7: If you need an Audi that can seat seven, this is it. The Q7 is Audi's answer to the need for a full-size luxury SUV. Along with outstanding luxury features, the Q7 can tow up to 4,400 pounds. If you're hesitant to commit to a brand-new model, our used cars in Birmingham MI may fit the bill. Our inventory of low-mileage, lightly used Audi models helps many drivers get their first taste of the brand. We also have certified pre-owned Audi vehicles that come with an Audi-backed CPO warranty. Even greater variety is available when you consider our expanded used car inventory. You can browse models from other premium brands like Land Rover, Porsche, and BMW. We put the utmost care into every customers experience. A large part of our service to customers is through our car financing center. Customers can take advantage of the finance center to make buying or leasing an Audi a low-stress process. Credit applications, payment estimations, trade-in deals, and more can all be taken care of through this single resource. After you have purchased your new Audi, you can keep coming back to keep it in good working order. Our in-house Audi service center near Farmington Hills provides all of the important maintenance that your precision-engineered vehicle needs. At regular intervals, Audi technicians can provide upkeep and repairs to make sure your Audi stays in good condition. You can even order parts and accessories through the service center.